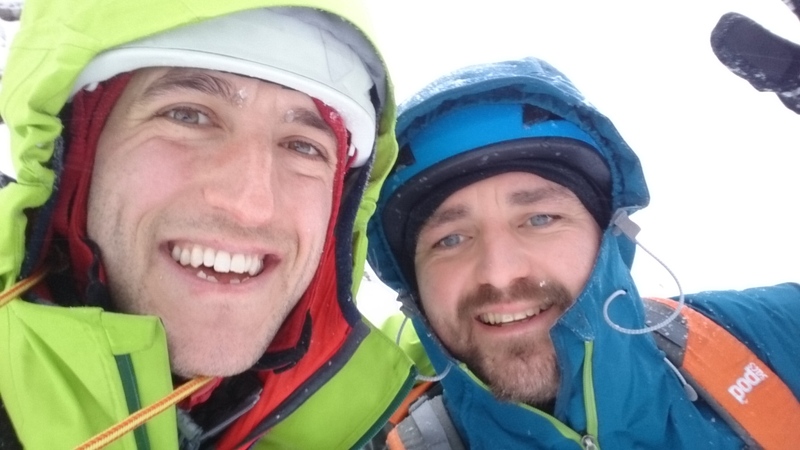 The next two days will be spent with Kelvin who is keen to become a winter mountaineer and gain some experience for his up and coming trip to Mont Blanc. Being a Saturday, I knew Ledge Route would be busy (again) but there was enough space to work around people and make a steady ascent without getting caught in traffic. 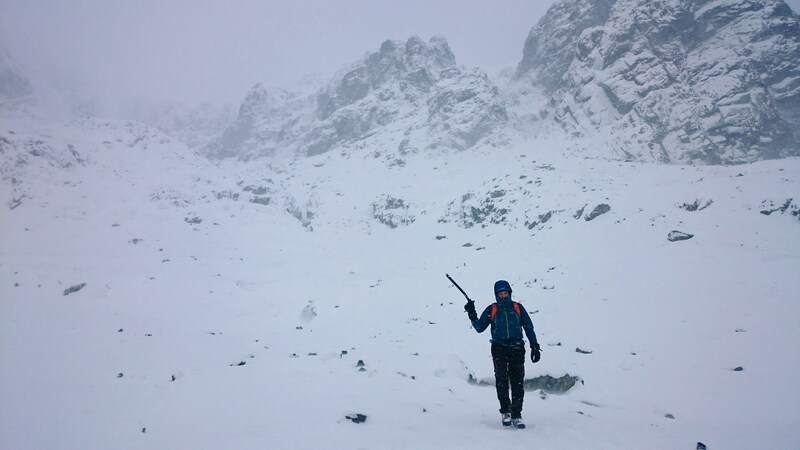 The snow arrived sooner than forecast which made the going tough in places, there was however a good track up most of the route with just the odd patch of unstable snow to negotiate just above the initial slab. The little step down is easily avoidable on the right under the current conditions, but I chose to allow Kelvin the full experience and stuck to the crest which he tackled convincingly whilst other teams were close behind. 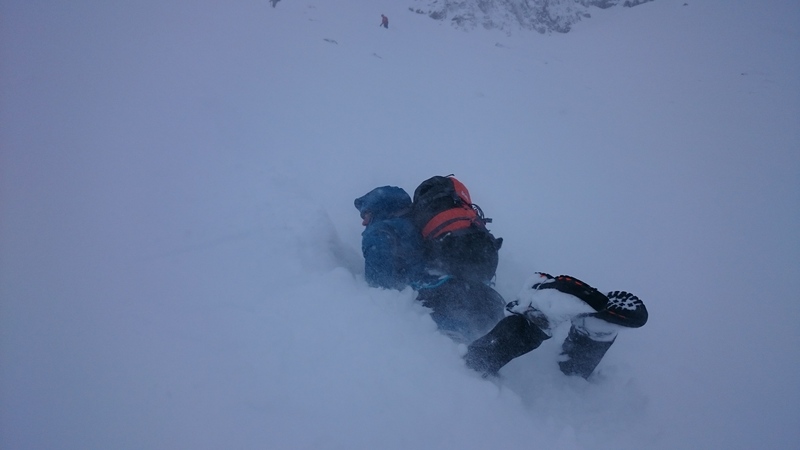 After an initial inspection we descended No.4 Gully which had no cornice and hardly any fresh snow for the first 100m. 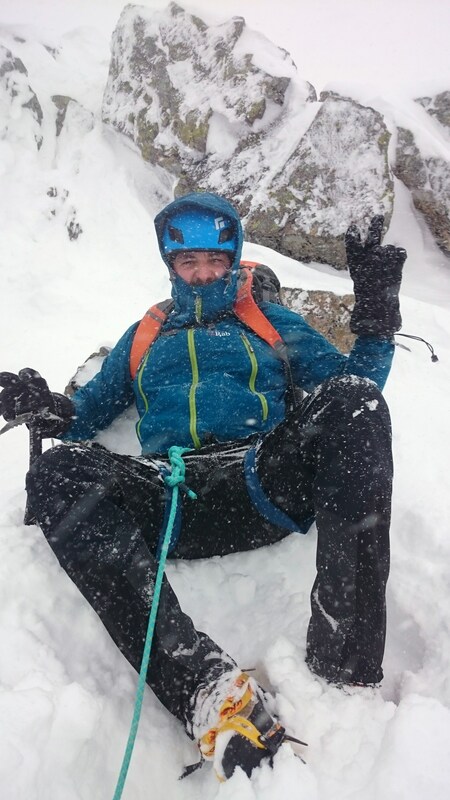 As we descended it was soon apparent where it opened out into the Ciste there was allot of snow in deep accumulations, which I anticipated as it had snowed most of the day. Again it was all avoidable by staying high and traversing over towards No.3, before a little ice axe braking practice delivered us down by the Lochain. 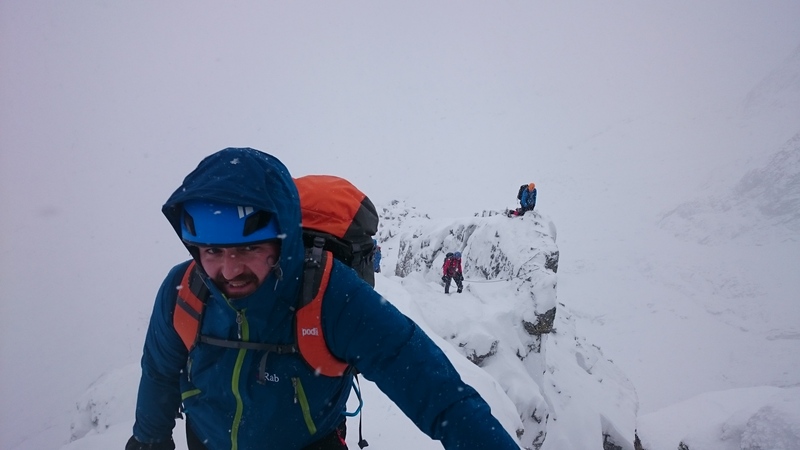 Another great day on Ben Nevis, very cold and allot more wintry than of late, I was working for Abacus Mountain Guides.